Unclaimed federal income tax refunds totaling about $1.1 billion may be waiting for an estimated 1 million taxpayers who did not file a 2014 federal income tax return, according to the Internal Revenue Service. Thinkstock To collect the money, affected taxpayers must file their 2014 tax return with the IRS no later than this year’s tax deadline, Tuesday, April 17, the Internal Revenue Service said. To collect the money, these taxpayers must file their 2014 tax return with the IRS no later than this year’s tax deadline, Tuesday, April 17. “We’re trying to connect a million people with their share of $1.1 billion in unclaimed refunds for 2014,” Acting IRS Commissioner David Kautter said. “Time is running out for people who haven’t filed tax returns to claim their refunds,” he said. “Students, part-time workers and many others may have overlooked filing for 2014. And there’s no penalty for filing a late return if you’re due a refund,” Kautter said. 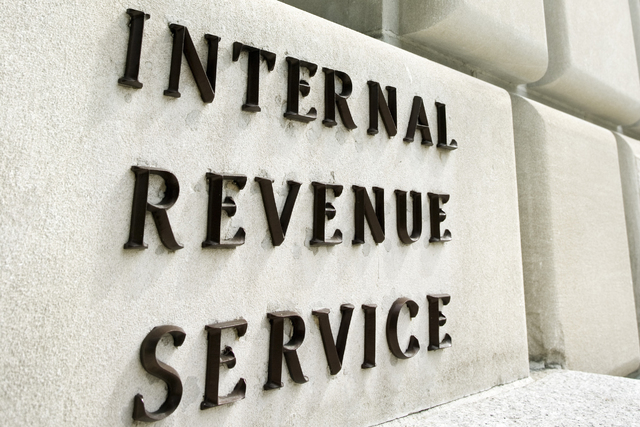 The IRS estimates the midpoint for the potential refunds for 2014 to be $847. Half of the refunds are more than $847 and half are less. In cases where a federal income tax return was not filed, the law provides most taxpayers with a three-year window of opportunity for claiming a tax refund. If they do not file a tax return within three years, the money becomes the property of the U.S. Treasury. For 2014 tax returns, the window closes April 17, 2018. The law requires taxpayers to properly address, mail and ensure the tax return is postmarked by that date. The IRS reminds taxpayers seeking a 2014 tax refund that their checks may be held if they have not filed tax returns for 2015 and 2016. In addition, the refund will be applied to any amounts still owed to the IRS or a state tax agency and may be used to offset unpaid child support or past due federal debts, such as student loans. The Earned Income Tax Credit helps individuals and families whose incomes are below certain thresholds. $14,590 ($20,020 if married filing jointly) for people without qualifying children.